Which New Hotel Is Coming To Central Sydney? 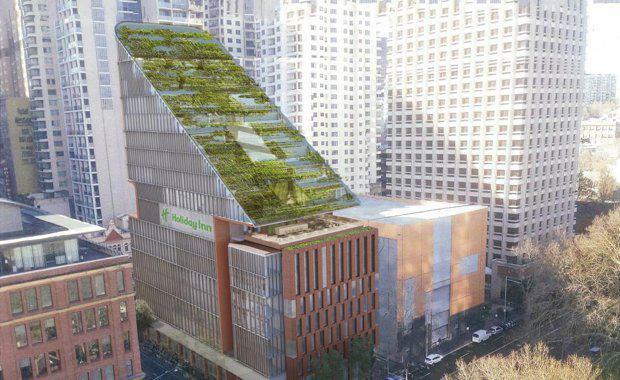 A new hotel featuring a 10-level hanging garden will open in Central Sydney in 2020, reportedly worth around $61 million. 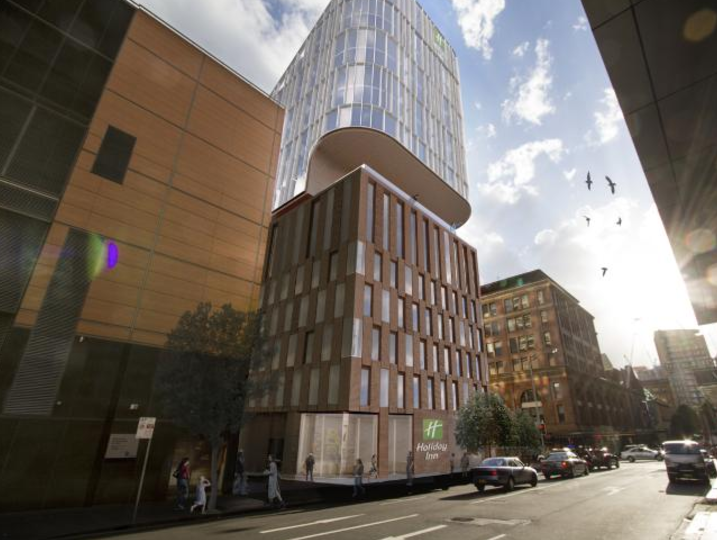 Chinese development company Linzhu has confirmed a deal with InterContinental Hotels Group (IHG) to open the 17-storey Holiday Inn hotel at 430 Pitt Street next to Belmore Park and the Capitol Theatre. With 305 rooms, the flagship hotel is the largest midscale property in the Sydney CBD pipeline and will feature a design-led restaurant, terrace bar and 120 seat meeting space. The hotel will be part of a mixed use development that will include a 1,000 sqm private art gallery and a retail concourse. The tower will feature a sloping roof and “green waterfalls”. The hotel will feature easy access to George Street light rail, Central Station and Sydney’s new Convention Centre.